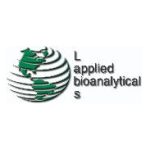 Applied Bioanalytical Labs is a company focused on providing research community with fine chemicals and ready-to-use reagent kits to study reactive oxygen species, free radicals and antioxidants in biological systems. We also provide total antioxidant assay service and assay services for other oxidative stress biomarkers. We take pride in quality of our products and services. Please contact us to obtain further details about our products and services.